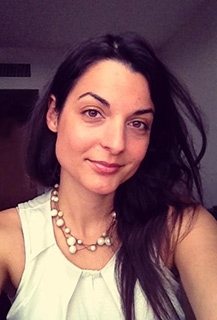 Ioanna Tsoni social geographer, answers in 10 questions. 1.What is Greece to you? What’s the feeling working abroad? I have been living outside Greece for the most part of the last decade - since 2004. The prospect of leaving and settling abroad felt natural to me since childhood. Jokingly, I often thought it was passed on to me through my genes: my family has a long tradition in migration, our lineage extending in convoluted trajectories of departure and return across the world.Escapist tendencies aside, though, when the time of your own migration arrives you find out it is more challenging than you could have ever anticipated. Everyone experiences it differently – for me it was an iterative process. Country by country and year by year I had to teach myself how to become a migrant living and working abroad, and one can only learn it by doing it. There is no way I could have prepared myself for this experience beforehand, other than deciding to leave aside every single one of my certainties and start anew. You end up growing beyond your farthest limitations and, like every growing process, it can also be painful. Nostalgia - the yearning for home - is but one of those pains. But eventually you realize that the home you have been yearning to return to had never existed anywhere else but inside your mind. I often feel that Euclidean geometry fails to gauge the shifting distances between my multiple locations – actual and mental. What is far and what is near? As a nomad, I carry my own country within me, with its secret landscape and its multitude of people, anywhere I might be in the world. Greece for me is something deeply personal, inscribed in my psyche. An almost mythical place, a lost Atlantis, the continent of my childhood. I might be abroad and feel I have never left home, while other times the middle of Athens might feel like a foreign land, as much of what happens there does not reconcile with my idea of what Greece is. 2.“Migration, Urbanisation and Societal Change”. Tell us more about this program. Migration and urbanization are closely interconnected phenomena. They are simultaneously results of- and driving forces behind many changes observed in contemporary societies. Internal and international migration result in increased urbanization, while cities serve as springboards for further migrations and as dynamic laboratories of social, political, economic and infrastructural transformation. Therefore, knowledge about migration and urbanization is crucial in today’s globalising world. Studying these issues in correlation with each other offers invaluable insights on the future of our societies. Driven by my curiosity on such themes, I acquired an MSc degree in Urban Studies from the University of Amsterdam, with a specialization in Migration. In 2013 I was very fortunate to be selected as a doctoral student in the program “Migration, Urbanisation and Societal Change” (MUSA) pioneered by the University of Malmo in Sweden. This is an interdisciplinary program with a rare approach and composition. It comprises of 12 researchers who were rigorously selected through an international competition. We work on a wide variety of projects, which would seem disconnected - if not for the unique combination of perspectives offered by the MUSA program. My research examines certain aspects of the development of the European border regime under the effects of undocumented migration. In particular, I am looking into the emergence of “borderscapes” not only along the actual geopolitical borders of a nation state, but in unexpected locations, such as in the middle of metropolitan centers. I work mainly with African migrants, focusing on their personal narratives of spatial negotiations and their encounters with borders –both physical and mental, through ethnographic methods and storytelling. “Financial” is but one of the aspects of the generalized crisis currently ravaging the global system. This crisis is a catastrophic convergence of a series of political, social and economic disasters that compound and amplify each other by feeding back into one another in a vicious circle. I would describe myself as a realist, yet in this case Antonio Gramsci’s words about the “pessimism of the intellect, optimism of the will” provide a starting point for tackling the generalized crisis of politics today. Society will move forward only through the courage to identify the established assumptions about our world system, questioning everything and taking action against the doom-mongering scares, instead of accepting them unquestioningly. We have been born into a system that is built upon the notion of scarcity and fear of each other, and which, in order to sustain itself generates ever more fear and even greater scarcity. Therefore, the focus falls on the easily manipulated financial aspect of the crisis, while dealing with the remaining angles is avoided. But there has to be a different paradigm. We only need to bring about ruptures in imagination in order to start tracing and acting it out, both individually and collectively through human struggle and ingenuity. The world is made of human action and is therefore to be remolded by the very same stuff. We need to reinstate the political and the social in our societies and resurrect solidarity in the face of the defacing neoliberal individualization. It is the spirit that always at the last account matters more than power, be that of the barrel of a gun or of the rip-offs of the bankers and their handmaiden politicians. To the extent that action in this direction can be assumed, yes, I would dare say I can see a glimmer in the far end of this tunnel. 4.Did the crisis make us better persons, or is this just a myth? The financial crisis forced us to look at dimensions of our lives that had been previously taken for granted and not given much consideration. This is a powerful learning experience, which can cause great shifts in our understanding and attitude. Some of the positive outcomes in such times may be the fostering of our creative thinking and adaptability, the reorientation of our understanding and adjustments in our course of life, or seeking spiritual and other positive dimensions through this experience. However, this is a rather elitist perspective, since there are people so severely hit by the crisis that their “goodness” has to do with mere survival, and is restricted to providing the bare necessities to their families and themselves. The crisis in itself does not offer a moral code that, if abided to, is going to absolve us of our previous errors in the times of overabundance. To think so is morally dangerous and disorienting. In my view, the crisis is an accelerator to the drives and forces already lie within an individual and a community. It will only help grow the seeds are already in place, therefore we will hardly reap more than we’ve sown through decades of certain types of education and socialisation. If there is one thing that the crisis has indicated, is the limits of our idiocy as “private” persons and citizens (in the ancient Greek sense of the word «ιδιώτης»), as we were being steered towards a private life, through private dreams and desires that were meant to be privately satisfied, while were getting redefined as consumers rather than citizens. We need to deepen our sense of social solidarity against individualisation. However, this will not happen by itself, but through a series of active choices that have yet to be made. It is time we come together and stick together and reinvent purpose, meaning, involvement, community and affection that are not personal and private, but public and civic back into our lives. To make any positive difference, we need to dare a deep and critical analysis of our reality, both collectively and individually, instead of navel-gazing and dismissing our personal responsibility to external forces, such as the wishful “self-moralising effect of hardship”. We could have done so at any other moment in history, but given our failure to do so, now is just as good a time as any. What we do, and how we choose to treat each other and ourselves through these times is all that will matter when all this is over. 5.Your research about African migration in the center of Athens? Almost three years ago, when first setting out for what would eventually become this research I was only looking for a way to pass my days of debilitating postgraduate unemployment in Greece. I had returned from the Netherlands on purpose, aiming to “help my country through the crisis” but the prospects were gloomy. I was buying myself some time before decisions on my future would inevitably have to be made and I held on to the main thing I prided myself on learning how to do: ethnographic research. I came up with a vague idea about looking into the migrant food geography of Athens, but had no research plan or questions whatsoever. I simply got up one day in January 2012, went to Kypseli in downtown Athens and ended up spending the best part of the following year there. Walking around and striking up conversations with random people at first, I would then start bumping into them every other day as the geography of the run-down neighbourhood grew familiar. We would sit in parks and playgrounds, huddle outside cafes broadcasting football games, walk into ethnic shops to keep ourselves warm, or go spend time in the migrants’ homes in order to keep off the ever-dangerous streets. Back then I had no access to academy: neither to literature nor a community and no one in my immediate environment in ‘my part’ of the city would understand this ‘absurd past-time’ of mine: ‘Hanging out with the immigrants? Eating from the same plates? Make sure you catch a disease, or something, will you?’. However, I held on to my belief that this was what I was supposed to be doing. I followed my gut feeling and I let my research develop freely. Through a serendipitous process, one morning while walking along Patission Avenue with two African friends, I accidentally bumped into the visible and invisible borders encountered by African migrants on their way to Europe, through Greece, and especially Athens as a semi-militarized city. It was there, on a sidewalk of Patission, that I realised for the first time in such a vivid way how urban public space is heavily securitized and criss-crossed by boundaries that almost have a life of their own and which are experienced differently by migrants of colour and citizens. Sharing my time with migrants and refugees from Africa in Athens has changed me so profoundly as a person that it is hard to put into words, never mind communicate here in a few lines. My worldview has been deeply affected by theirs and it is hard to conceive of what I am doing right now as merely academic research. Nowadays, this is not just what I base my livelihood and career on. It is apart of my life and these are some of the most meaningful human relations that I have developed with these people. Migrant narratives and life stories are what I draw inspiration and strength from when all else fails. 6.Do you think Greece is hostile to immigrants? Are we racists after all? Recently, skepticism towards any “outsider/other” -encountered in any society- has unfolded into open hostility towards foreigners in Greece, which has become an increasingly dangerous place for immigrants, as numerous human rights organisations report. The steep rise in xenophobia is directly linked to the crisis. A combination of failed immigration policies by successive governments, mounting social problems and widespread mentality, which is shaped by history, culture and education have led to the intensification of racist violence. As the crisis drags on and the living standards of the average Greek plummet insecurity increases among a population, which lacks solid liberal pedagogy. With Greece being a major entry point for migrants seeking a better life in Europe, foreigners have become a convenient scapegoat by citizens and politicians alike. Speaking of racism, however, we should not only think of violent crimes carried out by hate groups. Covert, structural and everyday racism is equally threatening. It is embedded in the ways authorities function, and in the subtle violence hidden in our everyday actions, which can prove equally dehumanizing. Leaving the seats next to migrants empty on public transportation, avoiding eye contact, denying to respond to them, unashamed adoption of attitudes such “foreigners need not apply” statements in rental ads, are but a few examples of such everyday racism. However, we should not only paint a gloomy picture – there are numerous instances were Greeks and migrants coexist unproblematically. Therefore, resorting to stereotypes such as “(all) Greeks are racist” is a dangerous oversimplification. In order to tackle racism within the Greek society we firstly need to admit its existence, then put the phenomenon in perspective and educate ourselves, and finally be willing to accept responsibility for our individual and collective actions and attitudes. 7. ''Vouliagmeni and Sepolia.'' two contrasted neighbourhoods of Athens: What were the results of this research? My MSc thesis examined the different roles that immigrant children undertake as cultural mediators in the dual process of the integration of their families into the host society and the adaptation of locals to the presence of migrants. I spent six months doing in-depth research with twelve children and their families in two diametrically different neighbourhoods of Athens -Vouliagmeni and Sepolia- because I wanted to examine the role that the urban environment plays in this process. I got permission to work with them in their schools, homes, playgrounds and places they hang out. We often think of children as voiceless, powerless beings, but what I found out was that the cultural mediation performed by immigrant children greatly shapes the opportunities of their families in the new society. The social and physical environment within each neighbourhood plays significant role in this process. Migrant children mentally “inhabit” in-between spaces and act as “human bridges” between cultures and places. They interpenetrate both worlds with elements belonging to the “other” side, facilitating transcultural contact and interethnic understanding. Moreover, their informal work significantly supplements the daily function of their households, schools and other public services, especially in contexts of weak welfare states, such as in Greece. In conclusion, migrant children’s role as cultural mediators, however small, can affect attitudes towards diversity and social change in receiving societies. Schools and institutions in host countries should reach out to them, foster their unique sets of skills and utilize the knowledge and the effective strategies that these children already practice for accessing, accumulating and mediating social and cultural resources in their daily lives. 8.You worked with Lynsey Addario, one of the world's most acclaimed photojournalists, your feelings? Recently I had the opportunity to work with Lynsey Addario, one of the world’s most acclaimed photojournalists. I assisted her with various aspects of field research on a New York Times story on the destitute situation of undocumented migrants in Greece. Despite my experience in photojournalism through past collaborations and personal projects, this was the first time I was ever into a challenging task of such magnitute. The assignment was tough, extremely demanding, perhaps even nerve-wrecking at times. But it was, hands down, one of the most valuable and instructive experiences of my life. As a researcher who wishes to approach places, people and experiences that are inaccessible to others, I wish to bring out this knowledge with respect and integrity, against the odds and limitations often placed on women active in such fields. Working with Lynsey offered me a living example of how this can be achieved. We worked 16-hour workdays under the extreme pressure of time. We worked against our physical and emotional needs – from hunger and heatstroke to heartbreaking narratives, and still we worked with empathy and resilience. Looking at the places and the people I have been working with for years, both in Patras and Athens, through the lens of a seasoned female war-photographer strengthened my determination, dedication and resilience required in the line of job of those like us, who despite all odds and restrictions, are committed to the discovery and reporting of human rights issues. 9. 'Street Art''. Was this something you always had the need for? I have been painting on walls for as long as I (or my parents) can remember, even if this was not under the label of street art. When I was still a toddler, my parents covered all the walls of our house with plotter paper, as I would take my crayons and scribble on them. As a teenager, I reluctantly started drawing fairies in a corner of my bedroom and within a year every inch on the walls and most of the ceilings was covered with mythical creatures. So, yes, I suppose there must had been something special for me in the wide –almost boundless- vertical surface of a wall. Later on, after I got admitted to the University, I decided to go out in the streets on my own, without anyone to show me the basics of graffiti and try it out on my own. This was a tremendously liberating and emancipating experience for me. I started by writing my tag (Joad) and soon I started painting characters. After some experimentation my signature female figures came into being. They got a life of their own, growing and evolving through different stages, together with me. Street art gave me a completely different grasp not only of my own personality, but also of the city I was born in. It led me in parts of Athens that I would otherwise have not explore. It was there that I came across the different kinds of urban outcasts. I saw first hand their living conditions and I was hit in the face with the contrasts from one street to the next, even within the same neighbourhood. I always felt that my art belonged there: on the walls of the derelict buildings, in abandoned factories where refugee families lived, across the sidewalks were drug addicts and prostitutes spent their nights. My friends and I were creating art that was “absurdly” offered for free –even though we were offered hefty sums to paint and sell canvases in upscale galleries. Ours was a kind of art that no one could capitalize on, and we offered it back to the city, to its passers-by and pariahs and to those of its people that could have never visited one of its galleries or museums. I usually juggle 3 or 4 different projects at the same time. My PhD research has priority, but I am currently preparing a few projects based on photography and short narrative documentaries on migrant journeys. On these, I wish to collaborate with two incredibly talented photographers, who are also my friends: Anna Psaroudakis and Anna Pantelias, whose sensitivity and perspective on such topics matches mine. These projects will feed into my “Border Narratives” website, which has been developing slowly, as I am trying to create a group of people to collaborate closely in its production – especially regarding the technical aspects. I am also keen on reviving and expanding the self-funded youth organization, which I had founded and ran on a voluntary basis before leaving for Sweden. And I am always –always- open to new suggestions, collaborations and ideas. If you have something in mind, do get in touch!